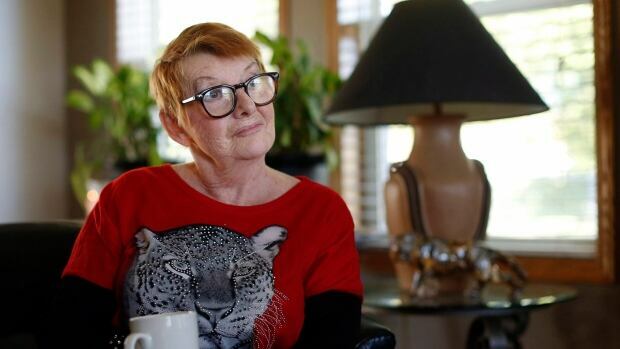 Freeman Tenant Declares Rental His "Embassy"
An Alberta pensioner says she feels like a prisoner after her Calgary rental property was claimed as an "embassy" by a man she says identified himself as a Freemen-on-the-Land, a growing movement of so-called sovereign citizens that is raising concerns with authorities both north and south of the border. "I am an army of one," says Rebekah Caverhill from her home in Sylvan Lake. "I've been beat up so badly by people that should be helping that I don't know where to turn." The renter had recently moved to Calgary from Montreal and was a self-described handyman. Caverhill says he agreed to "spruce up" the property in return for three months of free rent. A few months after the renter moved in, Caverhill went to inspect the work and she says she found the entire kitchen and bathroom had been gutted. All the doors inside had been removed and the floor of the master bedroom had been painted black, she says. "I said: 'This is my house, not yours.' He said: 'No. This is an embassy house now and it's mine and you have no rights,' so then he slams the door." The renter, whom sources confirm has also used an alias in the past, informed Caverhill he was willing to pay $775 a month in rent, less than half the $1,500 plus utilities she says had been agreed to. She says she later received an invoice from the renter's personal company for $26,000 in work done to the home. A lien is a form of security interest granted over an item of property to secure the payment of a debt or performance of some other obligation. The owner of a property typically grants the lien in a creditor-debter relationship and a mortgage is one common form of a lien. No one came to the door at the Calgary home when The Canadian Press sought comment from the renter earlier this month. The renter did respond to an email request with a warning sent both electronically and in a letter delivered by courier. "I don't know who you are? I am telling and ordering to stand down all of the matters that your authority things (sic) it may have, as this is a private matter," the warning reads. "Any intervening with these private matters have outstandings fees and schedules." The warning goes on to claim trademarks on the renter's name and the embassy he claims to represent. Caverhill has already served the renter with one eviction notice, but he hasn't left. The Liberal member of the legislature for the riding is also lending his support to Caverhill. Caverhill says she is angry and hurt. "They are taking away my rights as a Canadian citizen. They do not go along with any Canadian rights," she says. "I'm battling somebody who takes advantage of the system. I'm battling the system itself and I thought I had rights and I guess I don't. "If I don't like the government — I vote. I'm not going to take matters into my own hands like a vigilante and to me what they're doing is treason." Re: Freeman Tenant Declares Rental His "Embassy"